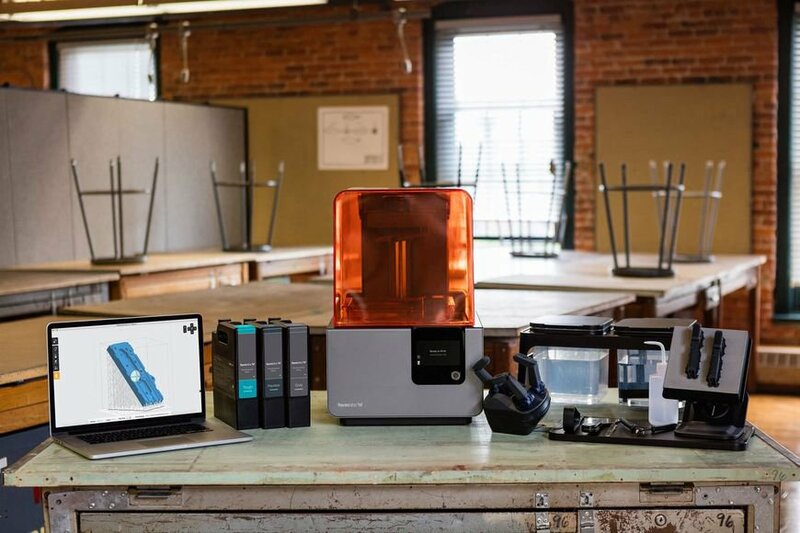 Formlabs is establishing the industry benchmark for professional 3D printing for businesses around the globe with accessible, reliable 3D printers for the desktop and the benchtop. Scale your prototyping and production with high-resolution parts at a fraction of a cost and footprint of industrial 3D printers. 3D printing or additive manufacturing (AM) technologies create three-dimensional parts from computer-aided design (CAD) models by successively adding material layer by layer until physical part is created. While 3D printing technologies have been around since the 1980s, recent advances in machinery, materials, and software have made 3D printing accessible to a wider range of businesses, enabling more and more companies to use tools previously limited to a few high-tech industries. Today, professional, low-cost desktop and benchtop 3D printers accelerate innovation and support businesses in various industries including engineering, manufacturing, dentistry, healthcare, education, entertainment, jewelry, and audiology. All 3D printing processes start with a CAD model that is sent to software to prepare the design. Depending on the technology, the 3D printer might produce the part layer by layer by solidifying resin or sintering powder. The parts are then removed from the printer and post-processed for the specific application. 3D printers create parts from three-dimensional models, the mathematical representations of any three-dimensional surface created using computer-aided design (CAD) software or developed from 3D scan data. The design is then exported as an STL or OBJ file readable by print preparation software. 3D printers include software to specify print settings and slice the digital model into layers that represent horizontal cross-sections of the part. 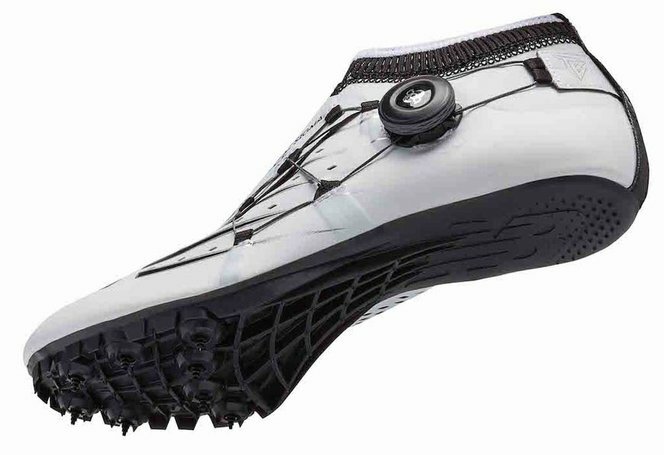 Adjustable printing settings include orientation, support structures (if needed), layer height, and material. Once setup is complete, the software sends the instructions to the printer via a wireless or cable connection. 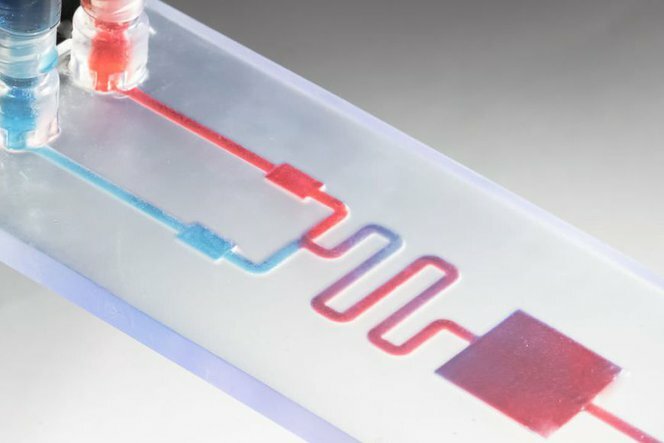 Some 3D printers use a laser to cure liquid resin into hardened plastic, others fuse small particles of polymer powder at high temperatures to build parts. 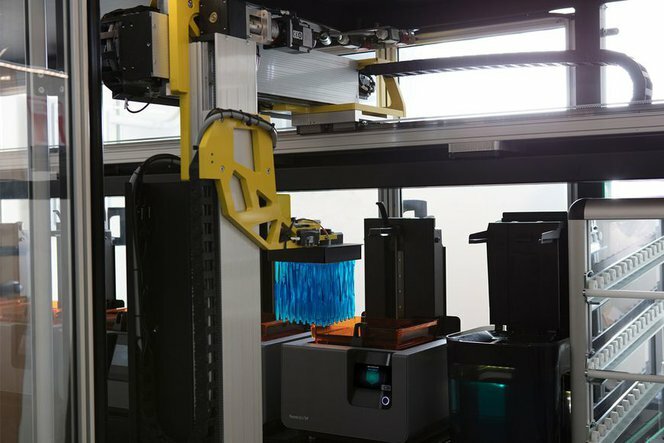 Most 3D printers can run unattended until the print is complete, and modern systems automatically refill the material required for the parts from cartridges. 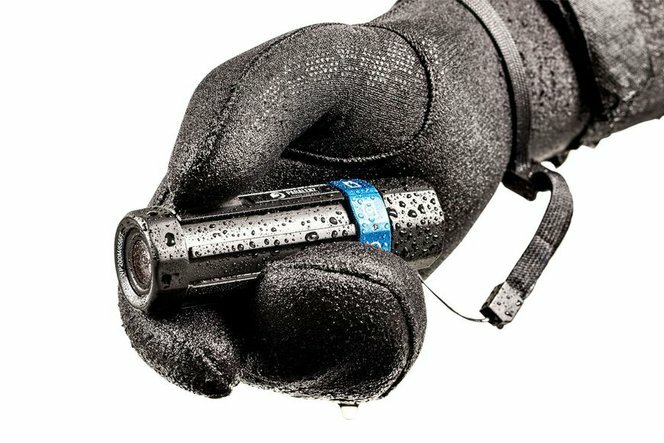 Depending on the technology and the material, the printed parts may require rinsing in isopropyl alcohol (IPA) to remove any uncured resin from their surface, post-curing to stabilize mechanical properties, manual work to remove support structures, or cleaning with compressed air or a media blaster to remove excess powder. Some of these processes can be automated with accessories. 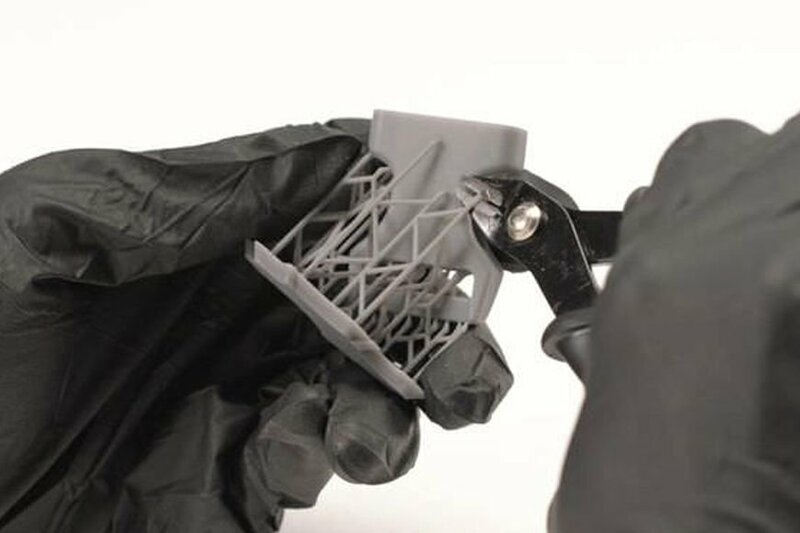 3D printed parts can be used directly or post-processed for specific applications and the required finish by machining, priming, painting, fastening or joining. 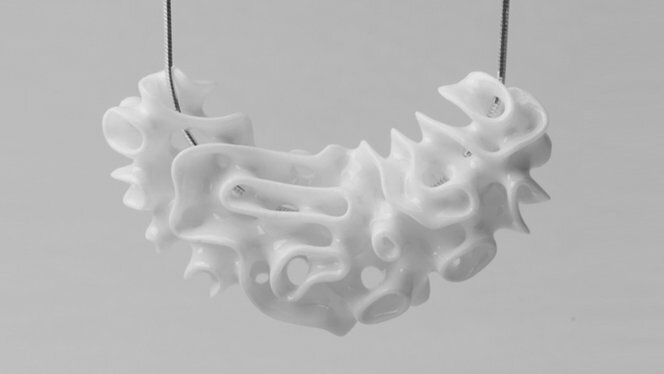 Often, 3D printing also serves as an intermediate step alongside conventional manufacturing methods, such as positives for investment casting jewelry and dental appliances, or molds for custom parts. With traditional manufacturing processes, it can take weeks or months to receive a part. 3D printing turns CAD models into physical parts within a few hours, producing parts and assemblies from one-off concept models to functional prototypes and even small production runs for testing. 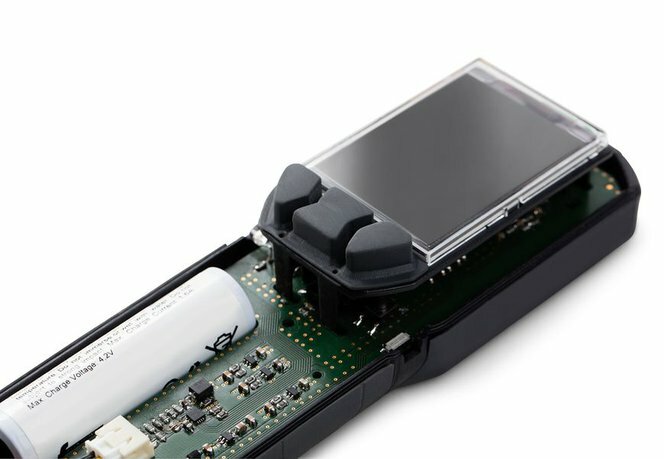 This allows designers and engineers to develop ideas faster, and helps companies to bring products more quickly to the market. With 3D printing, there’s no need for the costly tooling and setup associated with injection molding or machining; the same equipment can be used from prototyping to production to create parts with different geometries. As 3D printing becomes increasingly capable of producing functional end-use parts, it can complement or replace traditional manufacturing methods for a growing range of applications in low- to mid-volumes. 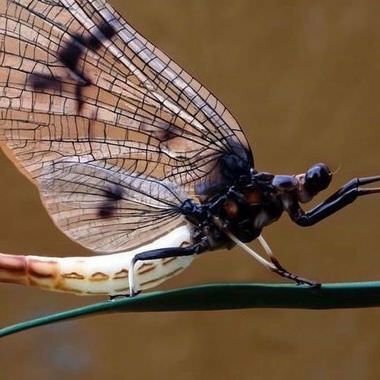 3D printing can create complex shapes and parts, such as overhangs, microchannels, and organic shapes, that would be costly or even impossible to produce with traditional manufacturing methods. This provides the opportunity to consolidate assemblies into less individual parts to reduce weight, alleviate weak joints, and cut down on assembly time, unleashing new possibilities for design and engineering. Product development is an iterative process that requires multiple rounds of testing, evaluation, and refinement. Finding and fixing design flaws early can help companies avoid costly revisions and tooling changes down the road. 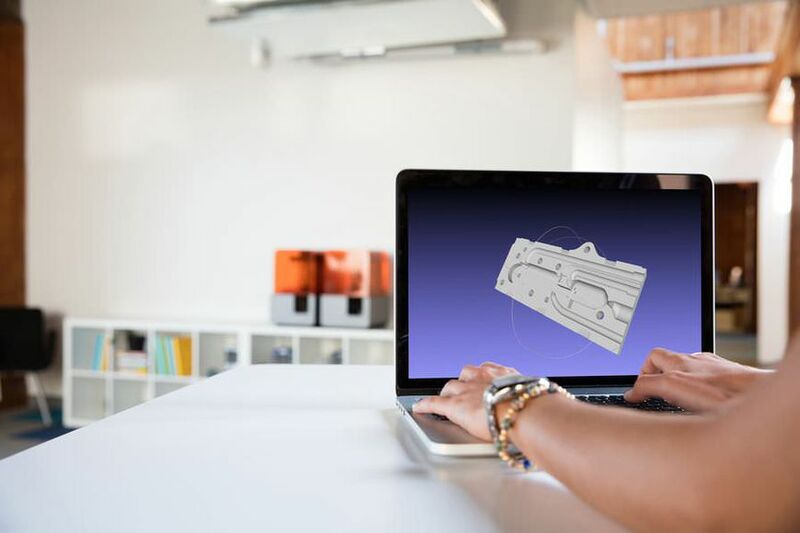 With 3D printing, engineers can thoroughly test prototypes that look and perform like final products, reducing the risks of usability and manufacturability issues before moving into production. From shoes to clothes and bicycles, we’re surrounded by products made in limited, uniform sizes as businesses strive to standardize products to make them economical to manufacture. With 3D printing, only the digital design needs to be changed to tailor each product to the customer without additional tooling costs. 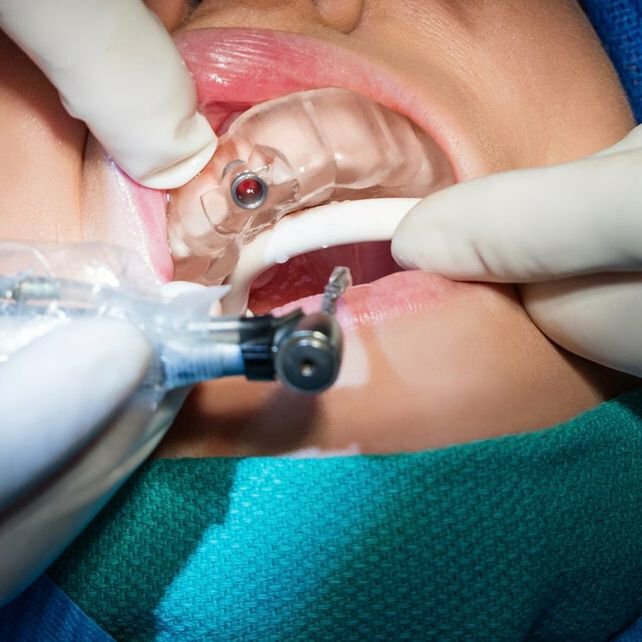 This transformation first started to gain a foothold in industries where custom fit is essential, such medicine and dentistry, but as 3D printing becomes more affordable, it’s increasingly being used to mass customize consumer products. Rapid prototyping with 3D printing empowers engineers and product designers to turn ideas into realistic proofs of concept, advance these concepts to high-fidelity prototypes that look and work like final products, and guide products through a series of validation stages toward mass production. 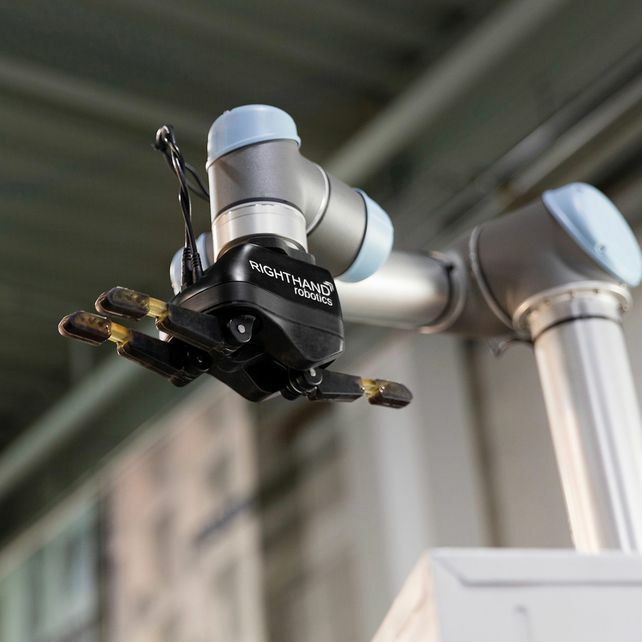 Manufacturers automate production processes and streamline workflows by prototyping tooling and directly 3D printing custom tools, molds, and manufacturing aids at far lower costs and lead times than with traditional manufacturing. This reduces manufacturing costs and defects, increases quality, speeds up assembly, and maximizes labor effectiveness. Digital dentistry reduces the risks and uncertainties introduced by human factors, providing higher consistency, accuracy, and precision at every stage of the workflow to improve patient care. 3D printers can produce a range of high-quality custom products and appliances at low unit costs with superior fit and repeatable results. 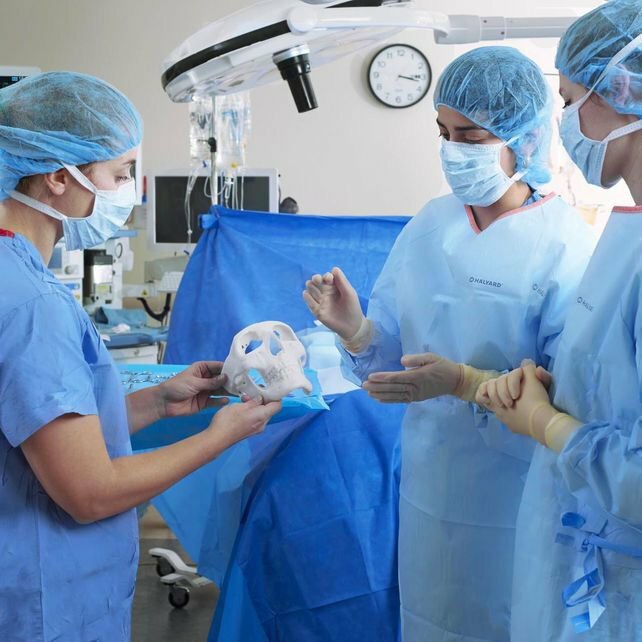 Affordable, professional-grade desktop 3D printing helps doctors deliver treatments and devices customized to better serve each unique individual, opening the door to high-impact medical applications while saving organizations significant time and costs from the lab to the operating room. 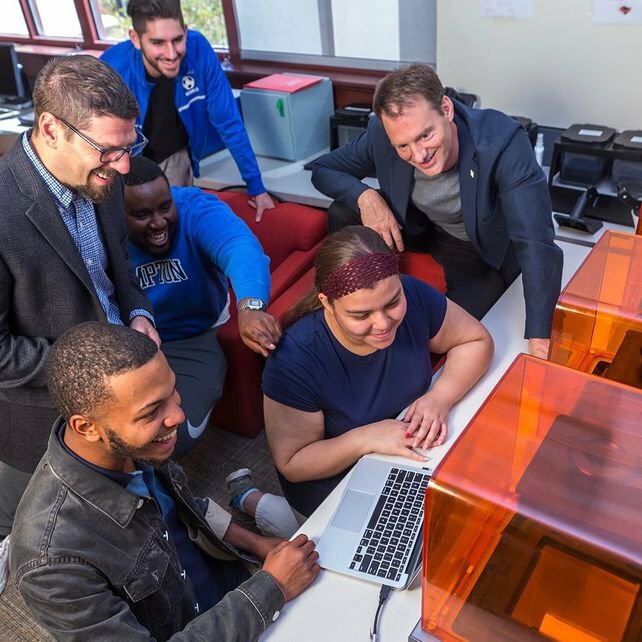 3D printers are multifunctional tools for immersive learning and advanced research. They can encourage creativity and expose students to professional-level technology while supporting STEAM curricula across science, engineering, art, and design. 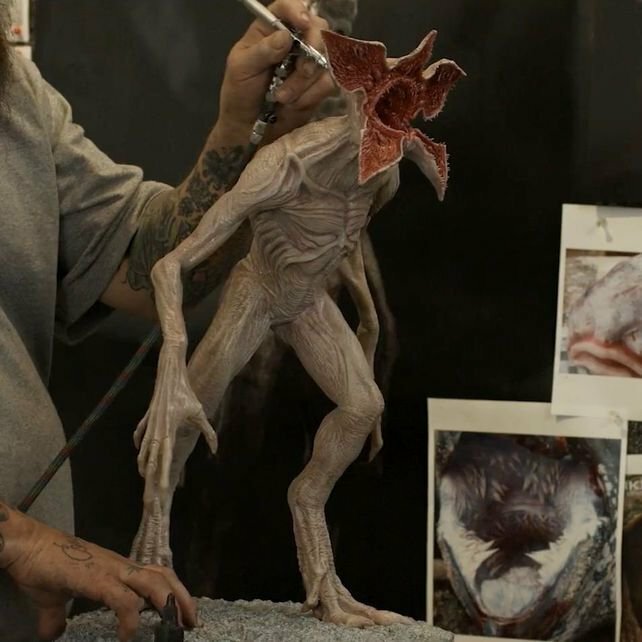 High definition physical models are widely used in sculpting, character modeling, and prop making. 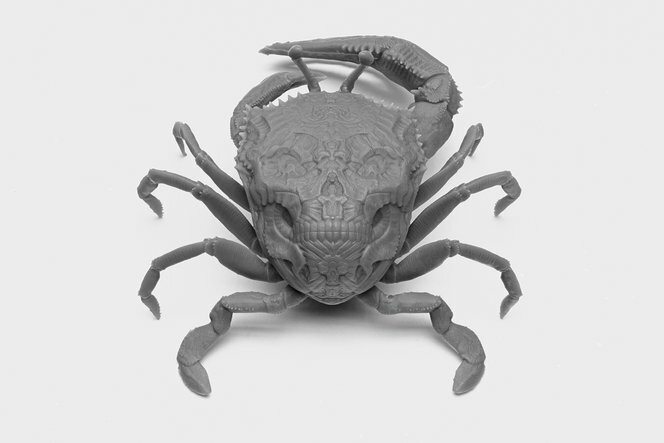 3D printed parts have starred in stop-motion films, video games, bespoke costumes, and even special effects for blockbuster movies. 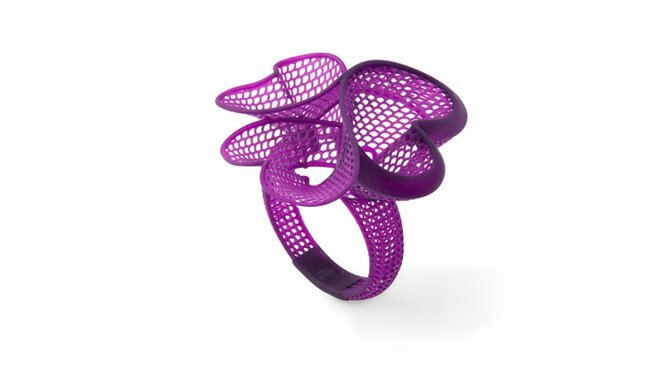 Jewelry professionals use CAD and 3D printing to rapidly prototype designs, fit clients, and produce large batches of ready-to-cast pieces. Digital tools allow for the creation of consistent, sharply detailed pieces without the tediousness and variability of wax carving. 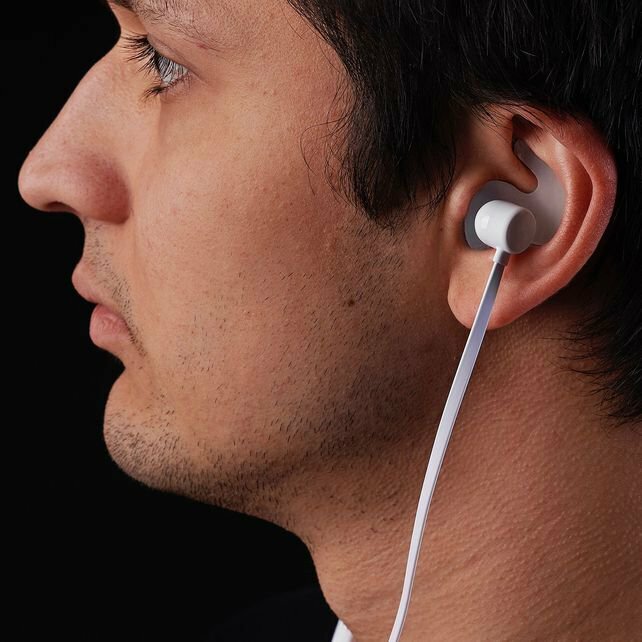 Hearing specialists and ear mold labs use digital workflows and 3D printing to manufacture higher quality custom ear products more consistently, and at higher volumes for applications like behind-the-ear hearing aids, hearing protection, and custom earplugs and earbuds. 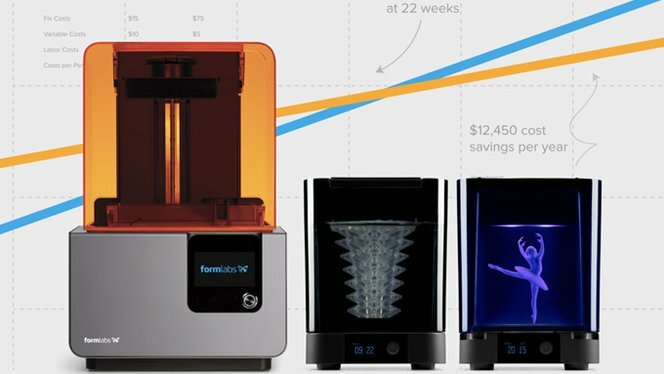 Formlabs offers two professional 3D printing technologies, stereolithography and selective laser sintering, bringing these powerful and accessible industrial fabrication tools into the creative hands of professionals around the world. 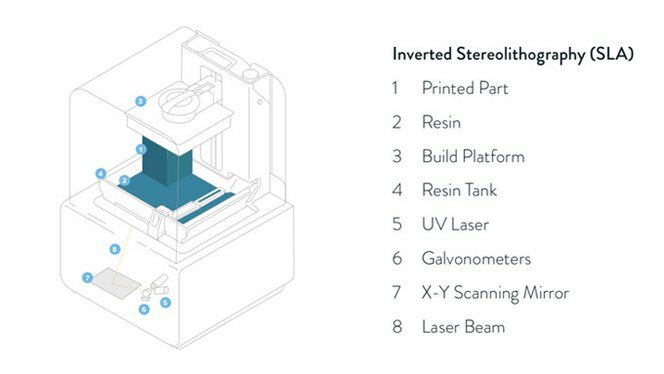 Stereolithography (SLA) 3D printing uses a laser to cure liquid photopolymer resin into solid isotropic parts. With the common process, inverted SLA, a build platform is lowered into a tank of resin, leaving only a thin layer of liquid in between the platform and the bottom of the tank. Galvanometers direct the laser through a transparent window at the bottom of the resin tank, drawing a cross-section of the 3D model and selectively hardening the material. The print is built in consecutive layers, each less than a hundred microns thick. Support structures keep overhangs anchored to the platform where necessary. When a layer is complete, the part is peeled from the bottom of the tank, letting fresh resin flow beneath, and the platform is lowered once again. This process repeats until the print is complete. 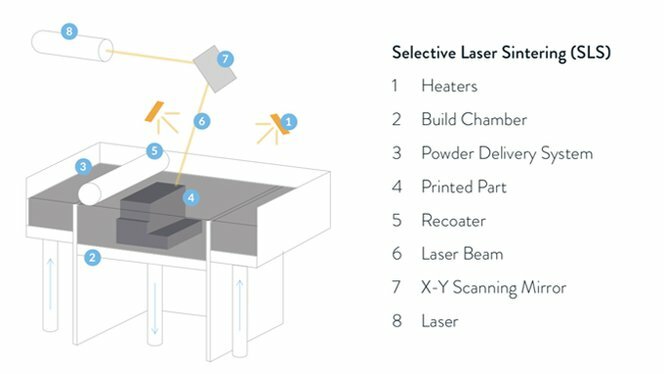 Selective laser sintering (SLS) 3D printers use a high-power laser to sinter small particles of polymer powder into a solid structure. The powder is dispersed in a thin layer on top of a platform inside of the build chamber and the printer preheats the powder to a temperature just below the melting point of the raw material. The laser scans a cross-section of the 3D model, fusing the particles together mechanically to create a solid part. The unfused powder supports the part during printing and eliminates the need for dedicated support structures. The platform lowers by one layer into the build chamber, typically between 50 to 200 microns, and a recoater applies a new layer of powder on top. The laser then scans the next cross-section of the build and this process repeats for each layer until parts are complete. 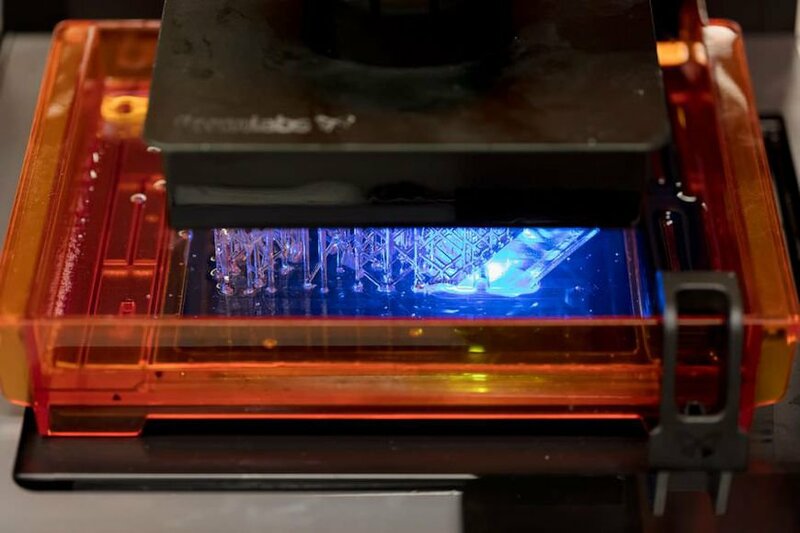 The market for 3D printing materials is wide and ever-growing, with printers for everything from plastics to metals, and even food and live tissue in development. 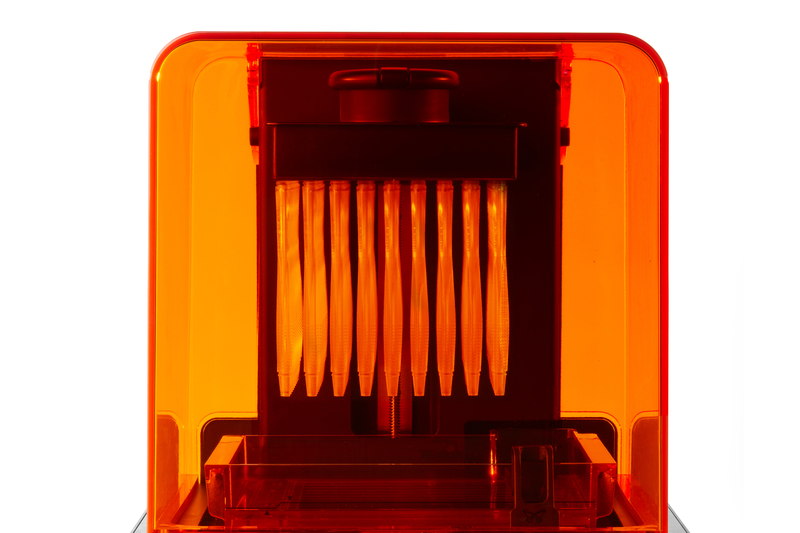 Formlabs offers the following range of photopolymer materials for the desktop. Standard 3D printing materials provide high resolution, fine features, and a smooth surface finish ideal for rapid prototyping, product development, and general modeling applications. 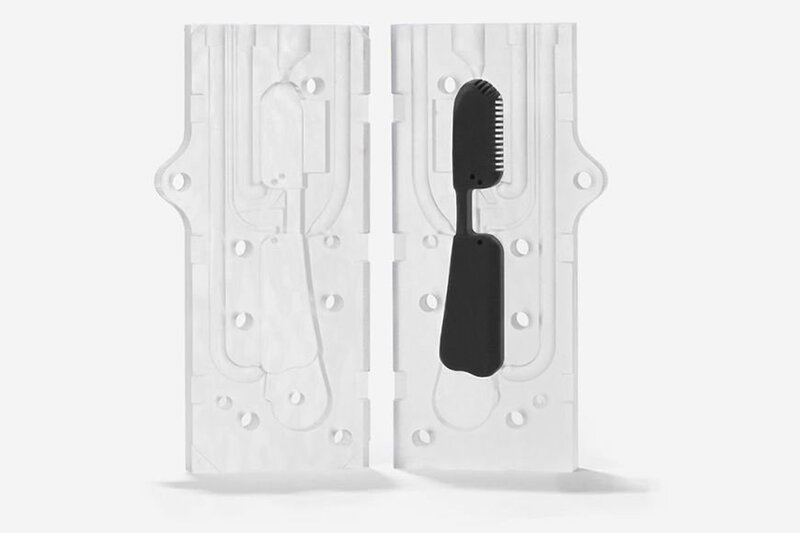 These materials are available in Black, White, and Grey with a matte finish and opaque appearance, Clear for any parts requiring translucency, and as a Color Kit to match almost any custom color. 3D printing materials for engineering, manufacturing, and product design are formulated to provide advanced functionality, withstand extensive testing, perform under stress, and remain stable over time. Engineering materials are ideal for 3D printing strong, precise concept models and prototypes to rapidly iterating through designs, asses form and fit, and optimize manufacturing processes. 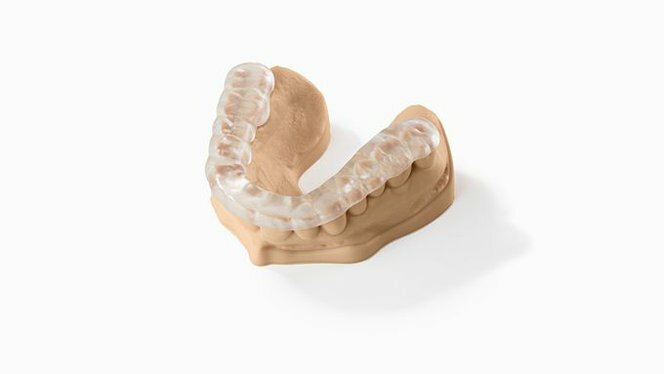 Dental resins empower dental labs and practices to rapidly manufacture a range of dental products cost-effectively in-house, from dental models to biocompatible surgical guides, splints , and orthodontic models for thermoforming retainers and aligners. Jewelry resins are formulated to capture breathtaking detail and create custom jewelry cost-effectively. These resins are ideal for jewelry prototyping and casting jewelry, as well as vulcanized rubber and RTV molding. 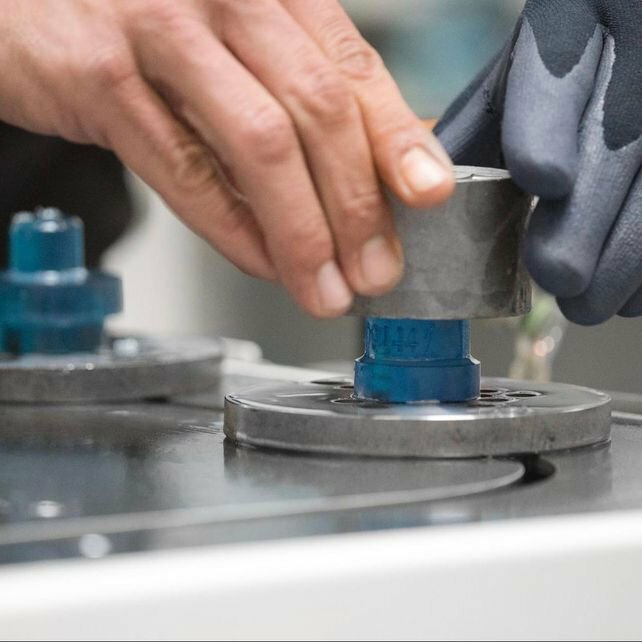 An experimental material that pushes what’s possible with 3D printing, Ceramic Resin is developed for 3D printing parts with a stone-like finish and firing them to create a fully ceramic piece. Fabricate ceramic parts for engineering research, or create distinctive art and design pieces. In recent years, high-resolution industrial 3D printers have become more affordable, intuitive, and reliable. As a result, the technology is now accessible to more businesses. Read our in-depth guide to the costs of 3D printing, or try our interactive tool to see if this technology makes economic sense your business. 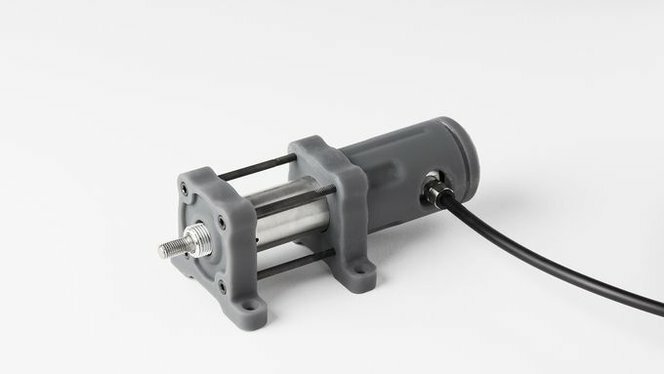 New to 3D printing? Explore our guides to learn about the key terms and specific characteristics of 3D printing to find the best solution for your business. For further questions, reach out to our experts. 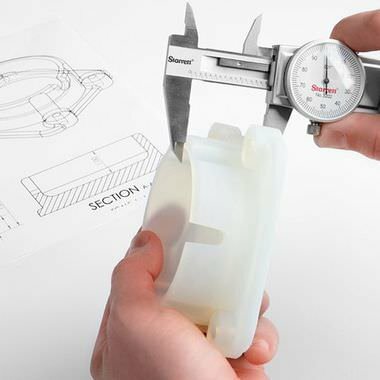 Understanding the meaning of terms like accuracy, precision, and tolerance is imperative for achieving meaningful 3D print performance for any application. In this post, we parse through what these terms mean and how to think about them in the context of 3D printing. What Does Resolution Mean in 3D Printing? Resolution is often discussed in 3D printing, but seldom understood. Learn how resolution affects your 3D prints and how it differs between SLA, FDM, and DLP printers. 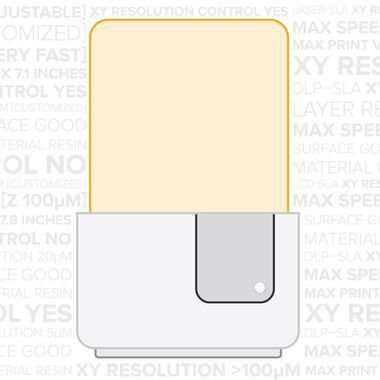 In this post, we shed light on what 3D printer specifications really mean and help businesses understand what they should actually be looking for, covering XY resolution, layer thickness, max speed, surface finish, and accuracy. 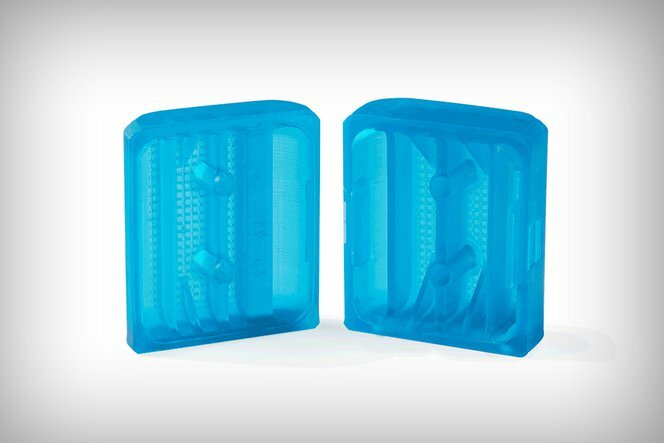 See and feel Formlabs quality firsthand and explore our materials to discover one that fits your needs.